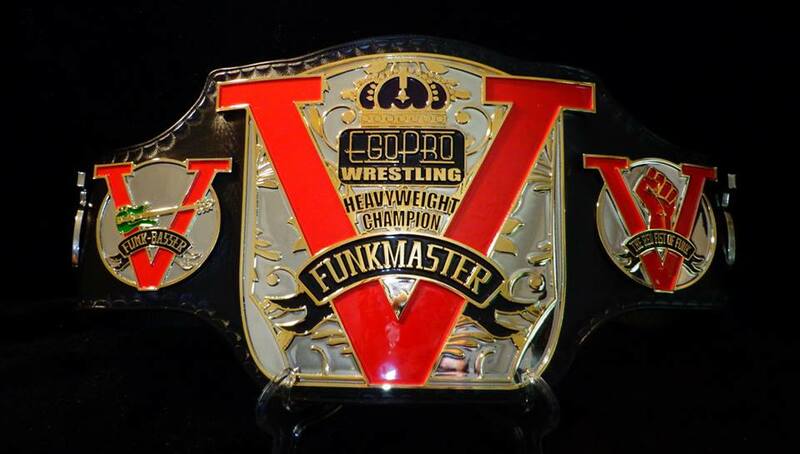 Funkmaster V EGO PRO Heavyweight Championship title reign June 2013- ??? Each side plate represents a major part of Funkmaster V lore and the story of his rise to the top of one of the best wrestling promotions in the region. The second plate features a bass, representing the years I have spent solidifying myself as a Funkmaster in the music world. The next plate features the Red Fist of Funk- the flaming finisher I have debuted this year. 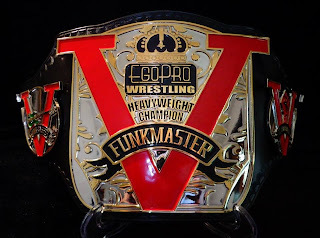 The last plate features the flowers I used to propose to Beth O Funk in front of my wife and kids, and the establishment of my relationship with the lovely funkettes that have accompanied me to the ring since. 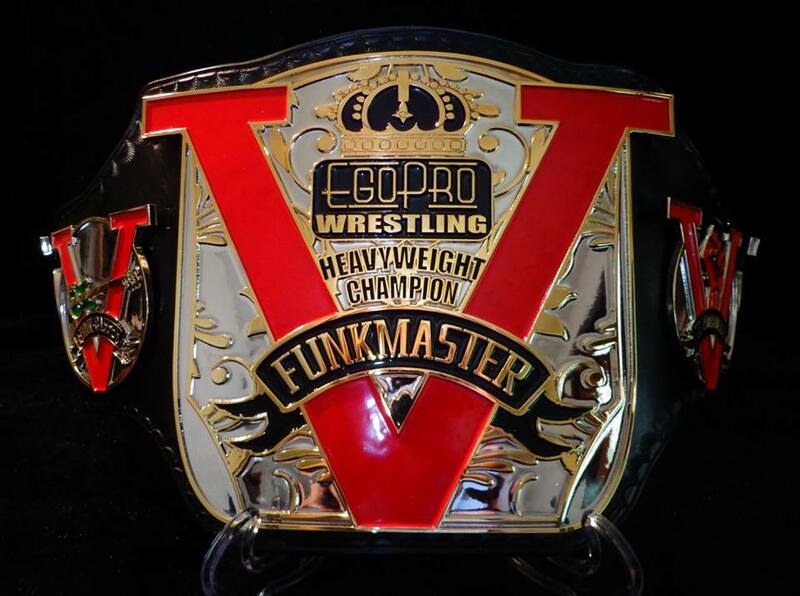 Come out Saturday to see me defend this handsome strap against the Cadillac Cowboy at EGO PRO!